This photo was taken in La Couvertoirade, Aveyron, France. Yes, really nice.. the larger flowers must be sunflowers, no? A ready-made still life. 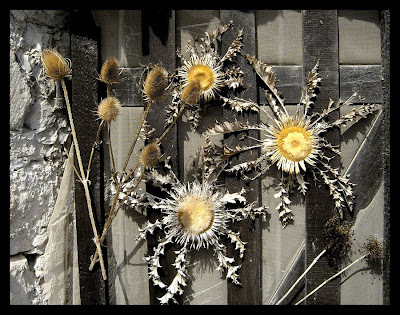 I like the texture and color of the dried flowers against the weathered wood; very "watercolorish". I hope to get to the French countryside for some shooting one of these days. Hi Mark, thanks for the comment. 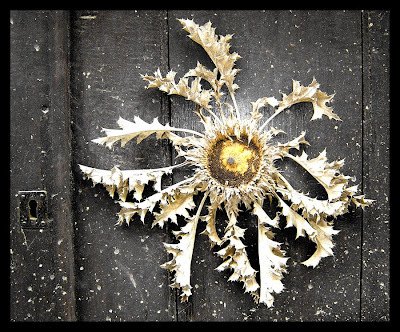 Not sunflowers, just thistles.